Do you remember who first introduced you to the International Trumpet Guild? Maybe it was a teacher, mentor, colleague or friend. The Conference Artist Committee invites ideas for presentations at the 2018 ITG Conference, to take place in San Antonio, Texas from May 29 to June 2, 2018. The International Trumpet Guild is seeking applications for an energized, dynamic Advertising Manager to represent our print and online advertising products to businesses and organizations interested in reaching trumpet players. 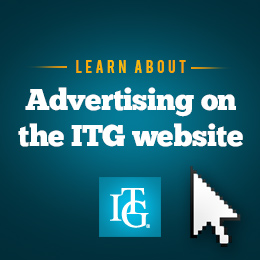 ITG members are called to submit either a topic proposal or completed article for potential publication in the ITG Journal and/or in the Non-Pro Player (NPP) section of the ITG Website. Additionally, the author may be invited to present the article at a future ITG Conference.